Covered California held a press conference last week announcing plans and rates that will be available to consumers starting January 1. This is one of the most significant steps yet toward being ready to serve consumers by the federally mandated 2014 deadline for health exchange availability under the 2010 Affordable Care Act. You can watch the press conference on the Covered California website, where you can also download a booklet with a description of all the plans that will be offered and sample rates. Covered California – the state marketplace for individuals, families and small businesses buying health coverage, and a core component of California’s implementation of the Affordable Care Act – announced the health plan options and premiums that will be offered next year, starting in January 1, 2014. Covered California is one of the only exchanges in the country that took advantage of the opportunity to employ “active purchasing” – using its purchasing power to negotiate with insurance companies for plans on behalf of California consumers. 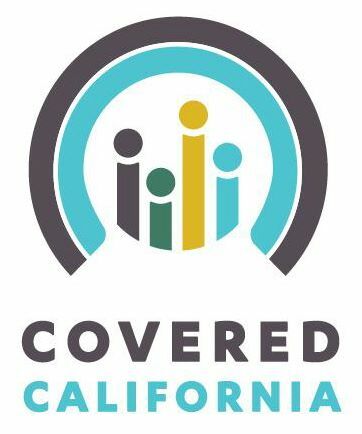 The good news for consumers is that California’s major insurers are participating (13 plans statewide, 3-6 options in each region) and offering competitive premiums in this new marketplace with better benefits and new consumer protections. The scaremongers and opponents who raised fears of “rate shock” were wrong – the premiums were significantly lower than projected by Milliman and others. Health insurance isn’t cheap, but these premiums are competitive, with dramatic drops in premiums for some, and the increases for others in line with standard rate hikes in previous years, and/or an acknowledgement of the improved benefits in the product. Media coverage reflected this positive development from coast to coast, in articles in theNew York Times, Reuters, the Los Angeles Times, the Sacramento Business Journal, and The New Republic. For too long, individuals buying coverage themselves were left all alone at the mercy of the big insurers. Covered California offers a dramatic departure from the current complex, confusing, and costly market. Instead, Covered California will offer choice, competitive premiums, and easy comprehensible comparisons. Californians should be proud that not only were we the first state in the nation to set up a new insurance marketplace under the ACA, but that we are one of the few that negotiates with the insurer for the best value. On behalf of individual consumers and families, Covered California was able to get a rate deal similar to those of large employers. Quality health coverage isn’t cheap, but Covered California helps get the group discount for the rest of us. Beyond the listed premiums, most consumers buying coverage in the individual market will get financial help and see their premiums go down. It’s a revolutionary improvement to move from a broken market where people are charged by how sick they are, to a competitive market where people pay what they can afford, based on a percentage of their income, on a sliding scale. Particularly important is that almost all will be getting better coverage and value for their dollar. Most will see premiums go down, but the slice for whom premiums go up will get better coverage and less cost-sharing when actually getting care – and they have the option of switching to a cheaper premium plan as well. While the fear mongering about widespread rate shock was – like so much other misinformation about Obamacare – unfounded, there is more California can and should do bring down costs. These rates are just the opening bid in year one of a longer effort to better control the cost of health coverage over time. California can use the new tools in the Affordable Care Act to drive costs down, including increasing enrollment, aggressively reviewing rates, fostering apples-to-apples price competition, and ultimately pushing reforms in how health services are delivered to reduce the cost of care. Anthony Wright is Executive Director of Health Access California, a statewide health care advocacy coalition of over 200 groups. This piece was re-published with permission from the California Progress Report. Rather than focusing on repealing the law in Congress and the courts, two avenues that have failed so far, the groups (Heritage Foundation & friends) are aiming to prevent the cornerstone of the legislation, the insurance exchanges, from succeeding. Their goal is to limit enrollments, drive up costs, and make it easier to roll back all or part of the law later. What kind of heartless, terrible people would try to make it harder for sick people to see the doctor?